You Could Be A Big Loser If You Don't Itemize All Your Expenses | TaxConnections is a where to find leading tax experts and tax resources worldwide. To claim your itemized deductions, you must complete Schedule A, Itemized Deductions. 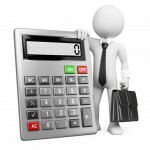 You enter all your eligible expenses in the appropriate sections on Schedule A. You can claim a deduction for medical and dental expenses you incurred, but only to the extent that they exceed 10% of your adjusted gross income (AGI). The following taxes you paid during the year are deductible on Schedule A: State and local income taxes, real estate taxes, personal property taxes, and foreign income taxes paid. The types of interest you can deduct on Schedule A are home mortgage interest, points in some cases, and investment interest. You may claim any charitable contributions of money or property you made to qualified charitable organizations. Generally, you may deduct charitable contributions of up to 50% of your adjusted gross income. Generally, you may claim any casualty and theft losses you suffered, relating to your home, household items, and vehicles, subject of course, to certain provisions. Job expenses and certain miscellaneous deductions. If you are an employee with unreimbursed work-related expenses, you may be able to deduct them as an itemized deduction on Schedule A. These expenses, however, are deductible only to the extent that they exceed the 2% of your adjusted gross income (AGI). Deductible miscellaneous expenses are grouped into two separate categories. Some expenses are subject to the 2% of AGI limitation, meaning that they are deductible only in so much as they exceed 2% of your adjusted gross income. There are others, however, that are not subject to the 2% limitation, and these are deductible in full. For a comprehensive guide on all the expenses your can claim on your Schedule A, grab yourself a copy of “Doing Your Own Taxes is as Easy as 1, 2, 3” ($6.98) on TaxConnections.com.